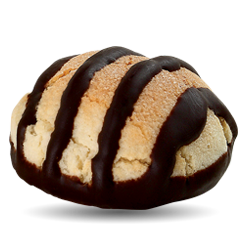 Soft Amaretti with chocolate stripes. 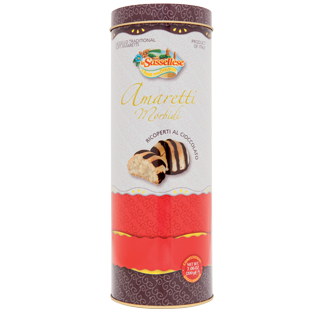 Premium quality, made with the ingredients of our traditional recipe: almonds, armelline (apricot kernels), egg white, and sugar. 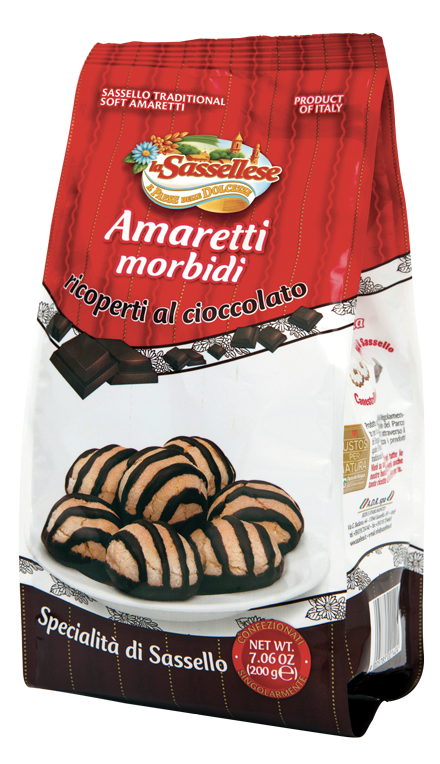 This traditional recipe, and a great classical item in La Sassellese’s production, has been enriched with cocoa delicacy and energy. An accurate selection of high quality ingredients is essential to ensure not only product quality and scent, but also its long shelf life. It also ensures the best results from a delicate manufacturing process featuring the so-called “rolling” phase (when the dough is placed on the baking tray in small portions) and baking. 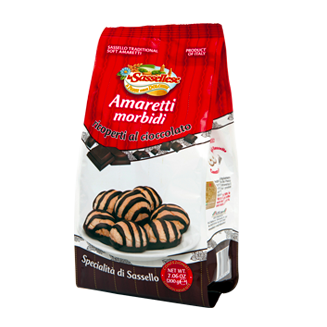 This is how this traditional ‘cookie’ is obtained, now available with this new recipe for a super-tasty break or snack. 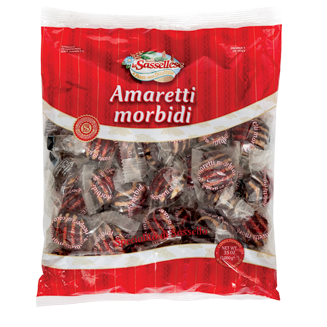 sugar, apricot kernels 34%, chocolate (cocoa mass, sugar, cocoa butter, emulsifier: soya lecithin, natural vanilla flavouring), almonds 3%, white of egg. 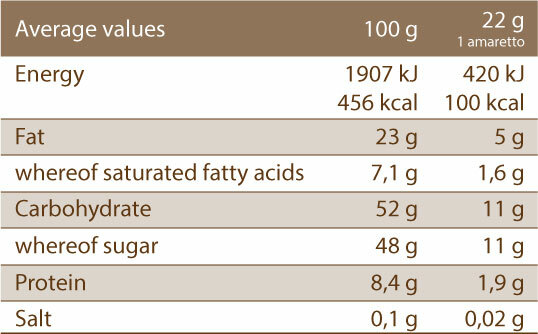 Preservative: potassium sorbate. It may contain traces of milk, milk derivatives. Gluten free.